We are just so excited to share that we are Approved by Google as a Canadian Non-Profit. We are thankful for this partnership and reconingiton by Google. They provide us with vast amount of tools to help us as an organization to acheive its goals - to make a difference, and impact in the lives of women and children we work with. We are excited to see what the future holds for us. 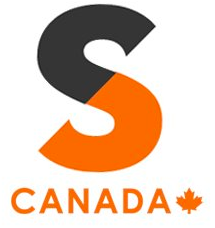 We are so excited to share that we are Approved by TechSoup Canada as a Canadian Non-Profit. We are thankful for this partnership and reconingiton by TechSoup. Their partnership opens new doors and avenues for us and excited to see what the future holds. We are just so excited to share that we are Approved by The Great Commission as a Canadian Non-Profit. We are thankful for this partnership and reconingiton. They help us from donations, Canadian Revenue Agency Approval to even the adminstration sides of the Non-Profit. A Ongraization that works with over 70 countires and works with over 200 Orgnizations. We are truly excited to see what the future holds for our parnternship.